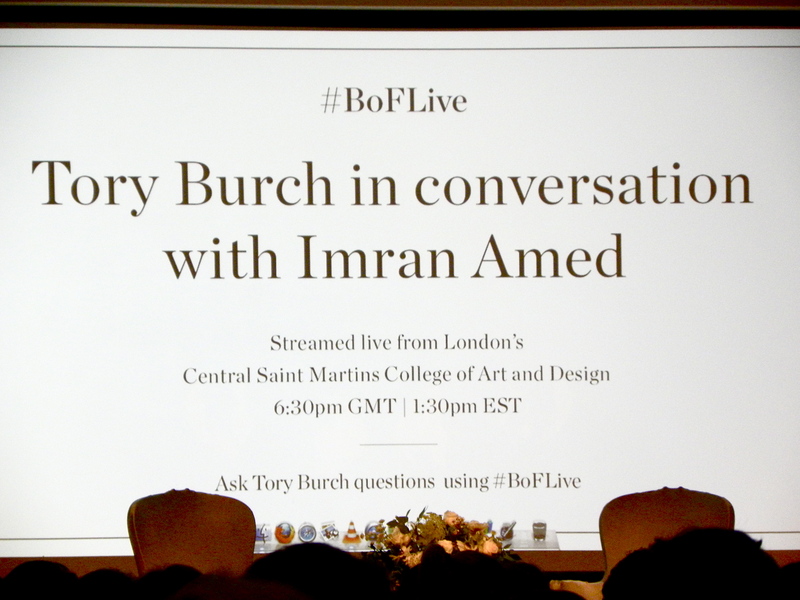 This entry was posted in Central Saint Martins, CSM, Fashion, Inspiration and tagged #BoFLive, Central Saint Martins, CSM, Fashion, Imran Amed, In Conversation with..., Inspiration, London, The Business of Fashion, Tory Burch, Tory Burch in Conversation with Imran Amed by linneabylinneanilsson. Bookmark the permalink. Yes daaaahling, it´s certainly time to get moving to not get stuck in the fast lane. China misses your collections and is looking forward with eager anticipation to your next. ahh this is so cool! !